Once the final school bell rings, the kids are ready for summer fun? But how will you keep them occupied? Kids love bounce houses. But, taking the kids to an indoor play land can drain the wallet. What's the solution - get your own Bounce House! Want to see what other kids are doing in their bounce houses? Check out the fun on Twitter & Instagram. Want to buy a Bounce House of your own from Blast Zone? 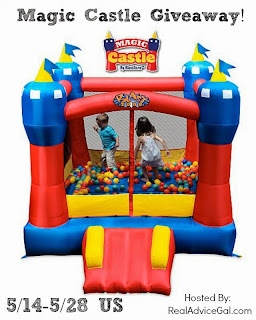 Well you are in luck because Blast Zone has agreed to give all of our readers a 10% discount off all bounce houses using code BOUNCEBLOG when you call in your order. Awesome right!? It has practically turned into a weekend staple around the country. Almost consistently, you will see inflatable bounce houses set up in nearby stops and fields. There are additionally numerous indoor skip offices growing up around the United States.